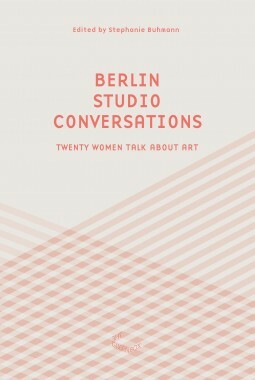 For Berlin Studio Conversations – Twenty Women Talk About Art, art historian Stephanie Buhmann conducted interviews with nineteen female artists. 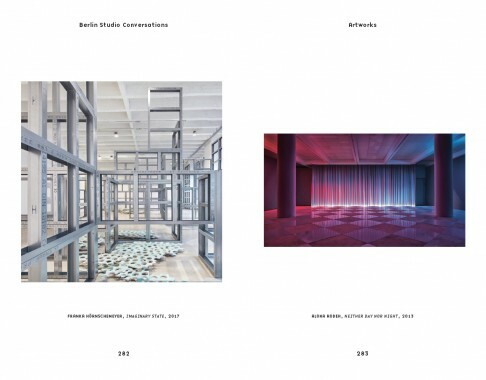 While their genres, aesthetics and media differ greatly, they still have one thing in common: they all live and work in Berlin. 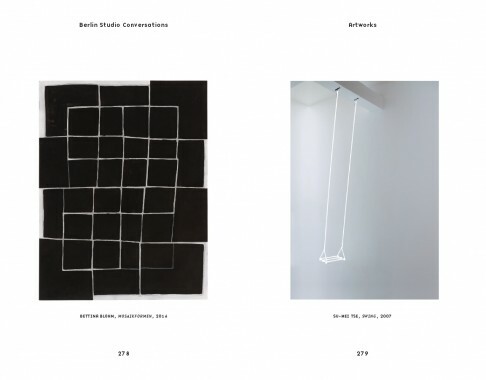 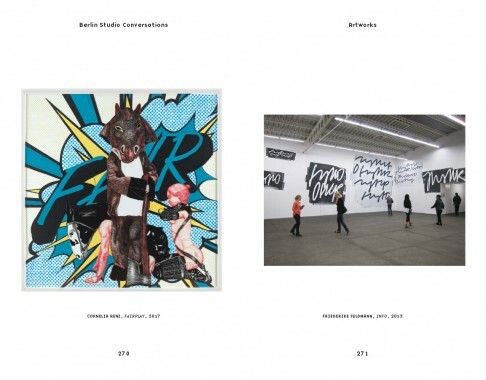 In search of the contents, which are outside the medial fixation on the art market, Buhmann visited the artists in their studios and gained insights in the intimate space of their artistic practices. 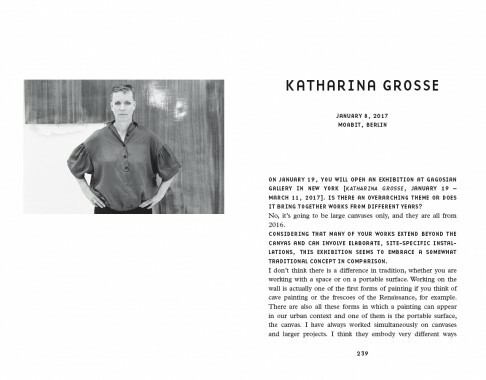 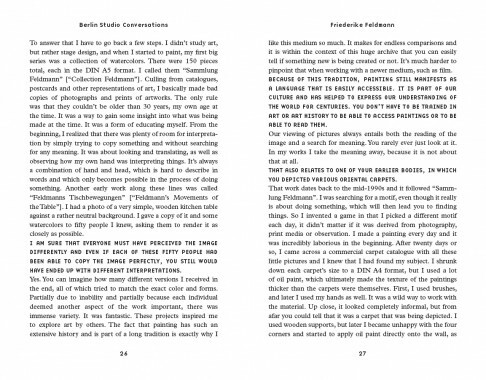 Berlin Studio Conversations presents their unique work processes and approaches, while telling of various philosophies, sources of inspiration and personal histories. 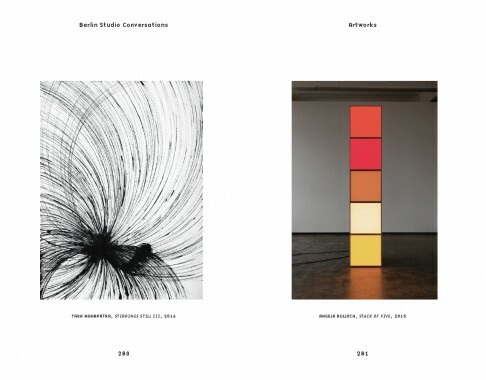 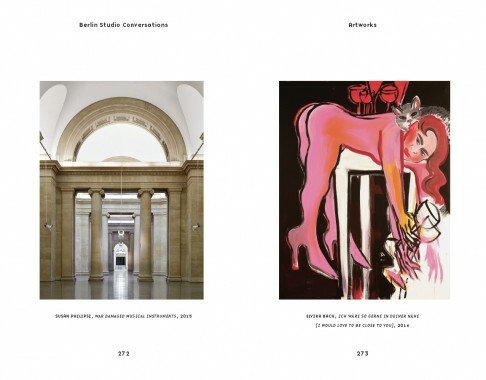 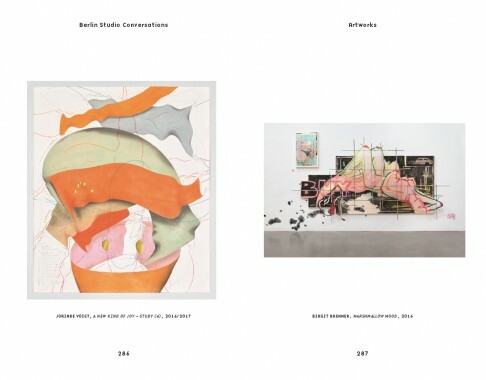 Artists presented in this book: Elvira Bach, Bettina Blohm, Birgit Brenner, Angela Bulloch, Svenja Deininger, Friederike Feldmann, Katharina Grosse, Monika Grzymala, annette hollywood, Franka Hörnschemeyer, Astrid Köppe, Alicja Kwade, Tara Mahapatra, Susan Philipsz, Cornelia Renz, Alona Rodeh, Cornelia Schleime, Su-Mei Tse, Jorinde Voigt.